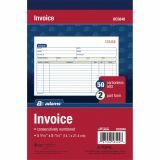 Note: A minimum quantity of 100 must be ordered, and in units of 25 thereafter. 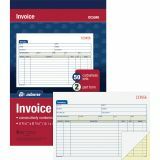 Adams Carbonless Invoice Book - Carbonless invoice book contains sets of two-part carbonless forms for invoicing customers. Each set has a white original and canary duplicate. 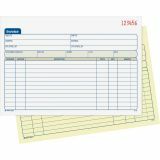 Each form has a space for buyer's information, shipping address, date of invoice, and a list of 11 product descriptions including date ordered, date shipping, price, unit and amount. 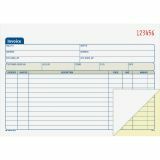 Forms are consecutively numbered. 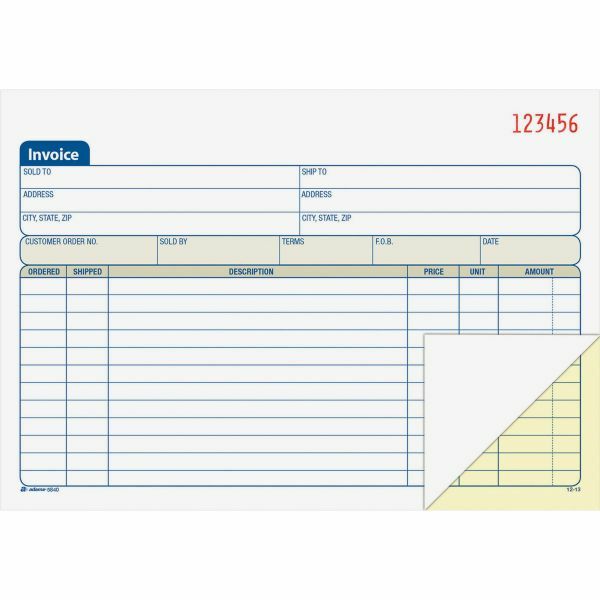 Tapebound book features a space at the top for your company stamp and a wraparound cover attached to the back to place between sets.